Once you are in, please find the Register for an account button. 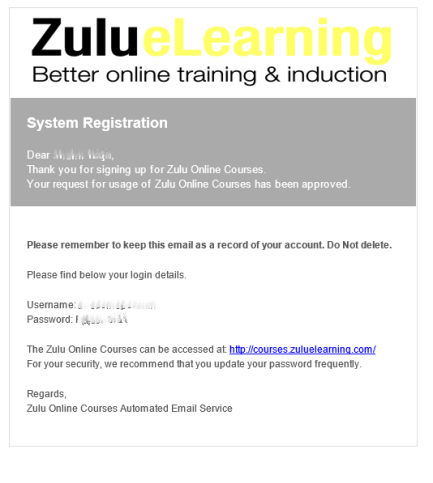 For existing clients, please note that using your current Zulu eLearning login details from your organization’s account would not work. You will need to register as a new user. You need to fill in all the mandatory details. Once you have completed the registration, please wait a few minutes and a confirmation email will be sent. You should now be able to login using the details that you registered with. Next, once you have logged in, you will be able to see 4 options on the Home page. Select Purchase Courses on the left. 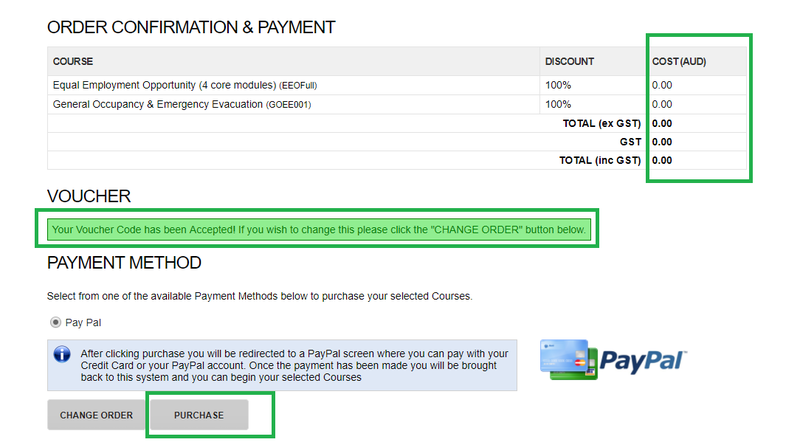 Once both courses has been selected, click next. You will be directed to the Order Confirmation & Payment page. 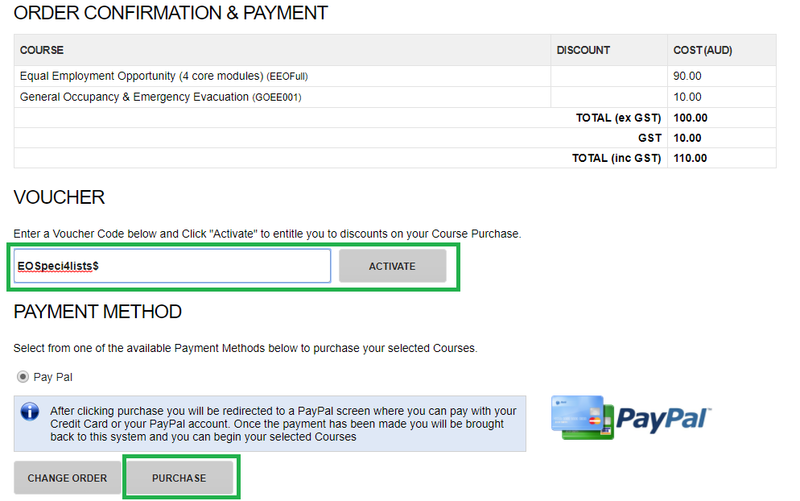 In the Order Confirmation & Payment page, please find the voucher section. Please use the EOSpeci4lists$ code and fill it in the voucher section. Click ACTIVATE. The voucher section will have a green box notifying you that the coupon is a success. The cost will be $0.00. 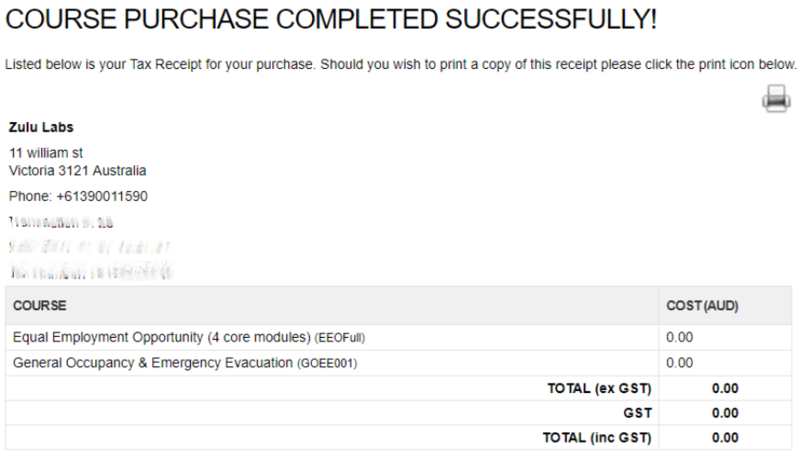 Finally, click on Purchase at the bottom of the page. Voila, you have now successfully redeemed the course. An email notification will be sent as well. Now, you will need to back to the Home page and navigate to the My Learning section. 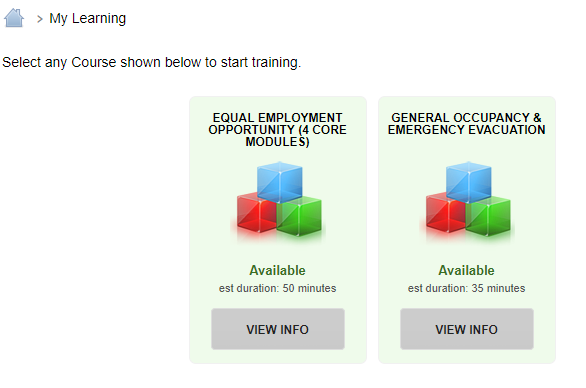 You will see those two courses now available for you to complete. Have fun!